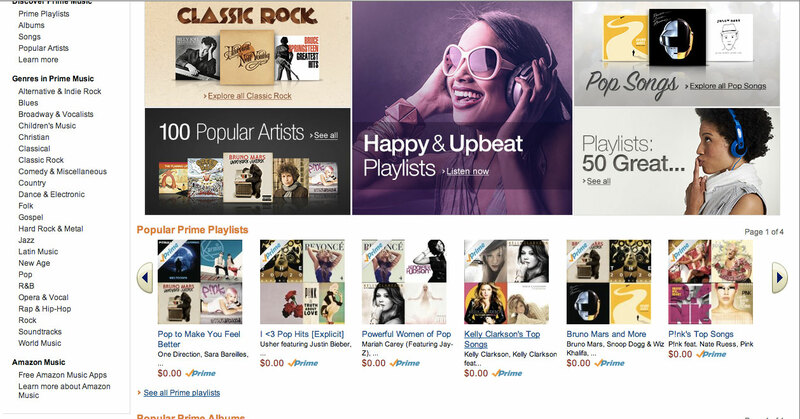 Amazon has quietly entered the digital music streaming space after its Prime Music service went live. The launch of the service follows reports that the company was preparing to follow Apple, which acquired Beats’ hardware and music streaming businesses last month, with an offering of its own. The service forms part of Amazon Prime, its premium $99 per year service that gives customers delivery parks for e-commerce purchases, and access to the company’s video-on-demand service and Kindle book library. 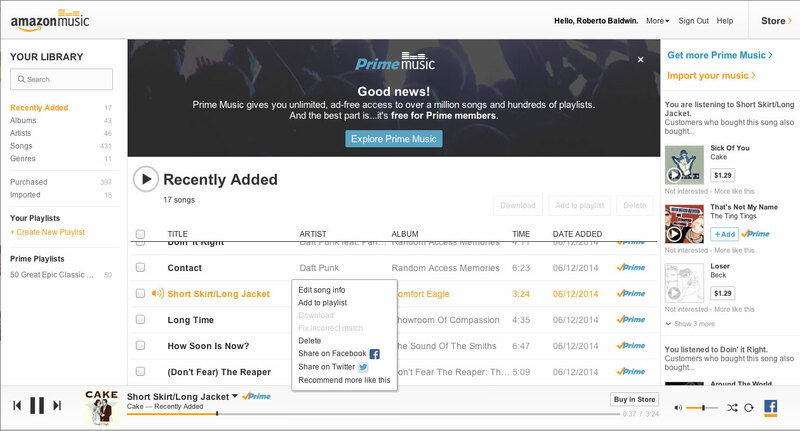 Branching out into music is a logical step, since it already offers other multimedia, although Prime Music initially offers a relatively limited catalog of songs. 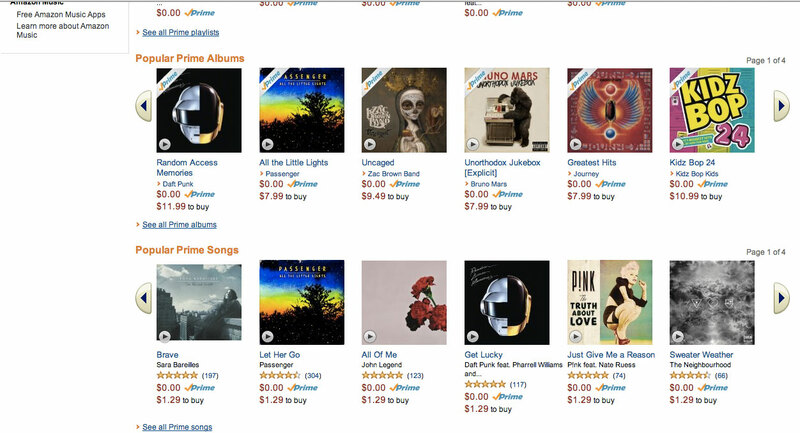 Update: Prime Music appears to be available in the US only, at this point. 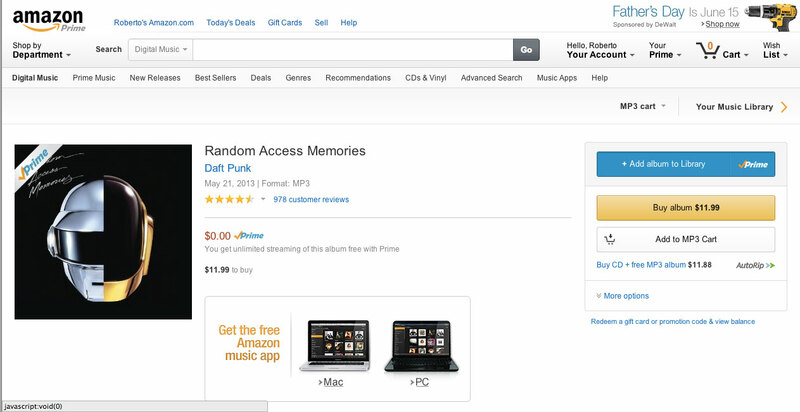 Amazon says it is offering “unlimited, ad-free access to over a million songs and hundreds of playlists” — that’s fewer than the likes of Spotify, although most streaming services don’t give a specific number for their catalog. 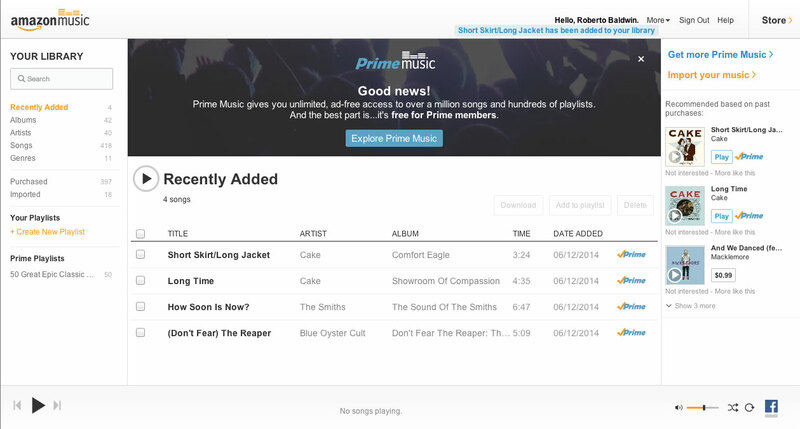 The New York Times claims that Sony and Warner Music have signed deals, but Amazon did not reach an agreement with Universal, and we have certainly noticed some prominent gaps in the Prime Music catalog — bad news for fans of The Smiths, among others. 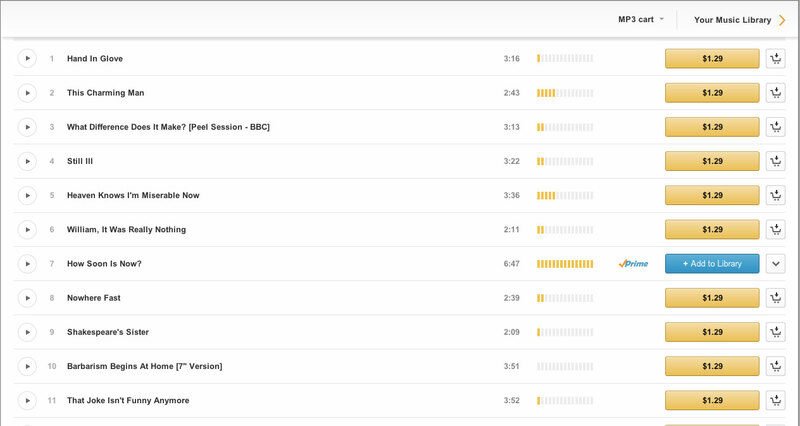 Users can find out which albums are available using the Prime Indicator, which is familiar territory for those that know the Instant Video service, while Prime Music will serve up acoustic suggestions on the right-hand menu bar, each of which is based on your past purchases. 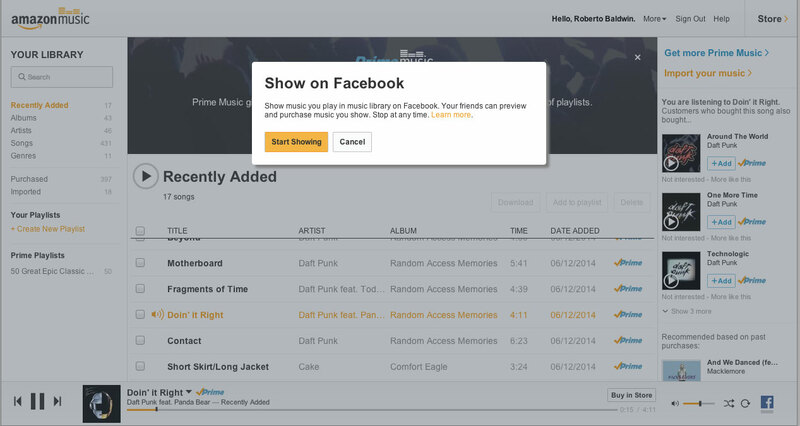 There’s an option to share the music that you listen to on Facebook, which is similar to Spotify and others, while you can also share songs to Twitter. Dedicated services like Spotify, Deezer and Pandora led the music streaming industry initially, but they have been joined by Samsung, which launched its US-only Milk service this year, as well as Apple, which offers iTunes Radio in addition to owning Beats, and now Amazon. 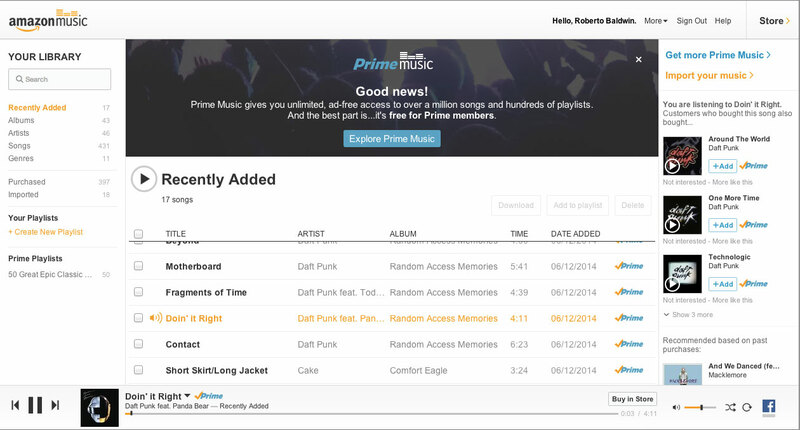 Those interested in Prime Music can take up a 30-day trial to test the service out. 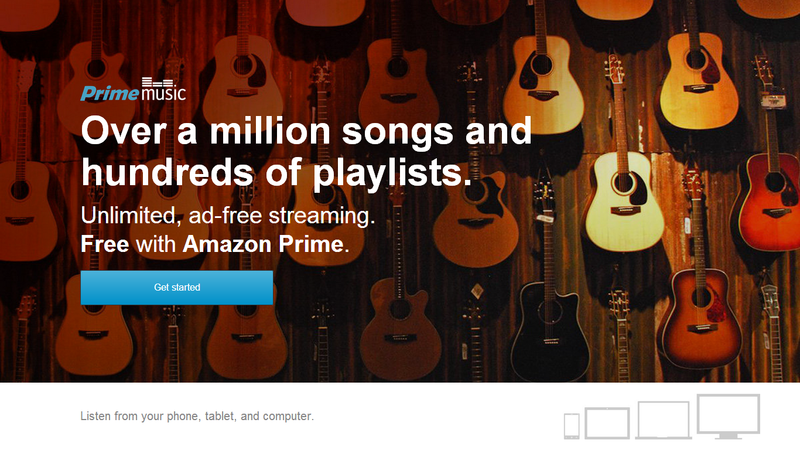 There’s been no official announcement of Prime Music, so we may learn more about the service when Amazon goes public about it.